Saturday, May 4, was Star Wars Day. Back in 1977, Star Wars took us to “a long time ago, in a galaxy far far away,” but to so many in the audience it was the future. It was the Jetsons on steroids and had teenage boys making homemade light sabers out of flashlights and plastic tubes. It is now almost 40 years later and some of what we thought the future would hold has come true. Just look at our smart phones and tablets! 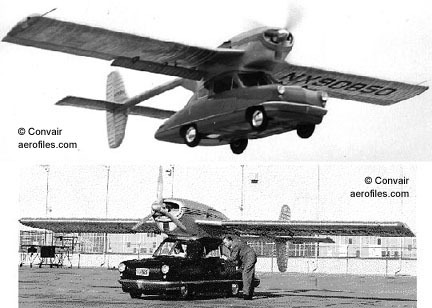 Still many a fan sit and wait, longing for the holy grail of science fiction—the flying car. 1917: Glenn Curtiss built and attempted to fly the Curtis Autoplane. Although it never took flight, the few short hops it managed were enough to fuel the fire and for the next twenty years inventors keep trying to slap airplane wings on cars. 1937: Waldo Waterman attempted to combine a Studebaker with detachable airplane wings and a propeller that ran off the 100 horsepower engine. The project folded due to lack of funds…and success. 1947: The ConvAirCar debuted and offered one hour of flight time and gas mileage of about 45 miles. However, marketing plans halted when the ConvAirCar crashed on its third flight attempt. 1970: The Ford Motor company was poised to market inventor Moulton Taylor’s Aerocar, which cruised the skies at 120 mph and met FAA approval. Unfortunately, the oil crisis of the 1970’s cancelled any hope of a successful marketing campaign. 2009: Popular Mechanics awarded The Maverick, a hybrid dune buggy and ram-air wing, its Breakthrough Award. Designed to reach remote or “primitive” areas in the world, it could deliver much needed resources and medicine. 2011: Inventor and flying car enthusiast Paul Moller failed to launch the futuristic M400X SkyCar on his first launch attempt. Fans of Star Wars, Blade Runner, and the Jetsons weep. There you have it! A brief, and not so glamorous history, of mans attempts to get cars off the road and into the skies.